﻿ How to Recover Deleted Files From Hard Disk or Removable Drive? How to Recover Deleted Files From Any Kind of Storage Device in Any Condition? Have you ever deleted some useful files by mistake? Have you ever regretted to remove some files which you want to use later? Have you ever lost some private data as the consequence of a sudden PC crash? Hasleo Data Recovery can help you to recover deleted files. But first of all, please stop using your computer. Every time you write data to the hard drive, you lower the likelihood of a successful recovery. 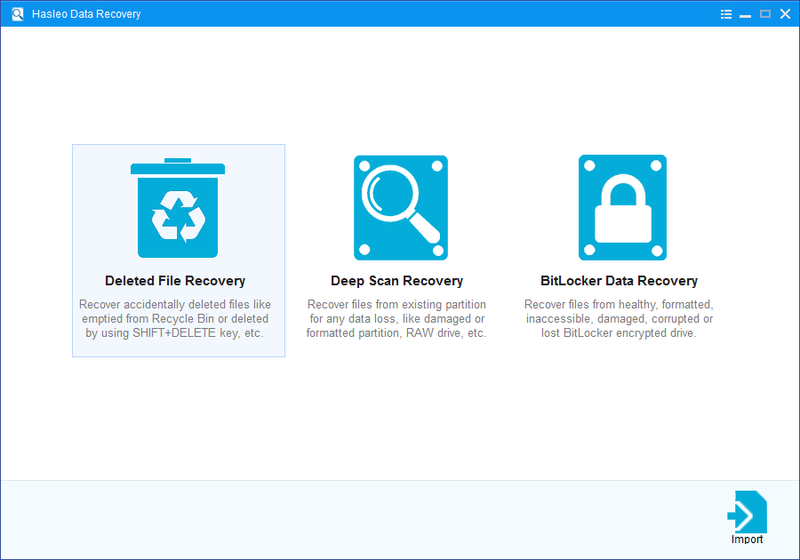 User Guide: How to use Hasleo Data Recovery to Recover Deleted Files From Any Kind of Storage Device in Any Condition? 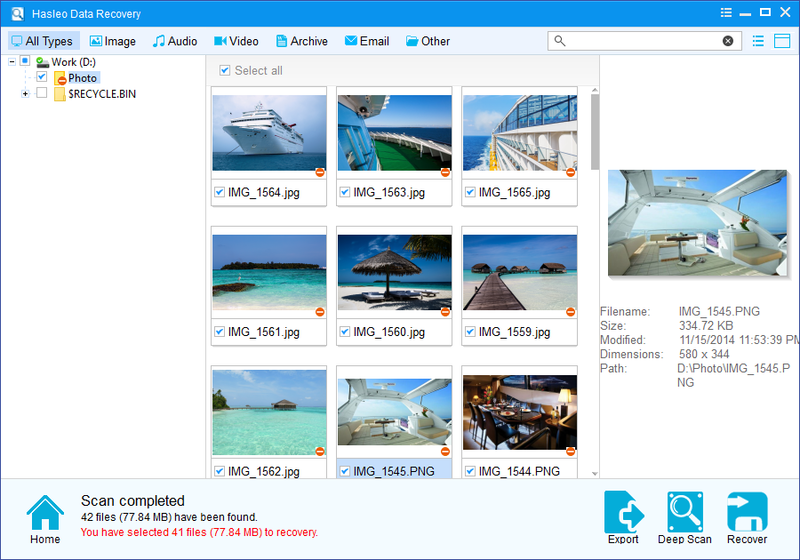 Launch Hasleo Data Recovery and select Deleted File Recovery mode. 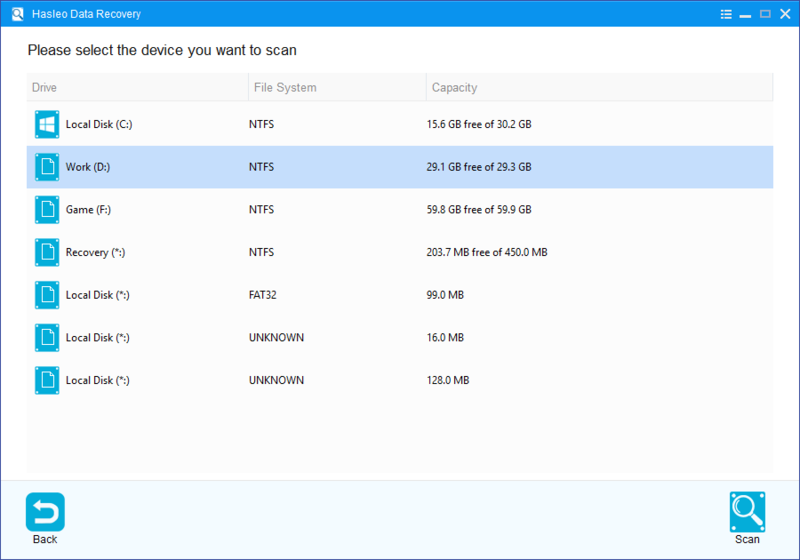 Please select the hard drive or device where you lose your files as the target hard drive to start scanning. When the scanning process gets finished, you can filter and preview all the recoverable deleted files by path and file types. When you locate the files you want, just select them and click on "Recover" button to save them to your hard drive or other storage device. How to Recover Deleted/Lost Files from External Hard Drive?